IT’S ALL ABOUT technology, fun, and innovation at forthcoming IFA, the world's leading brands of consumer electronics and home appliances that will present a record number of new products. And talk of new products, LG will unveil its latest “human-centric” wearable robot. “Human-centric” wearable robot, that will be unveiled by LG at the AIF in Berlin-Germany. It support and enhance a user’s legs to allow for more mobility and lower limb strength. Last year, LG invested in a startup that develops robots to overcome the limitations of the human body in everyday life. 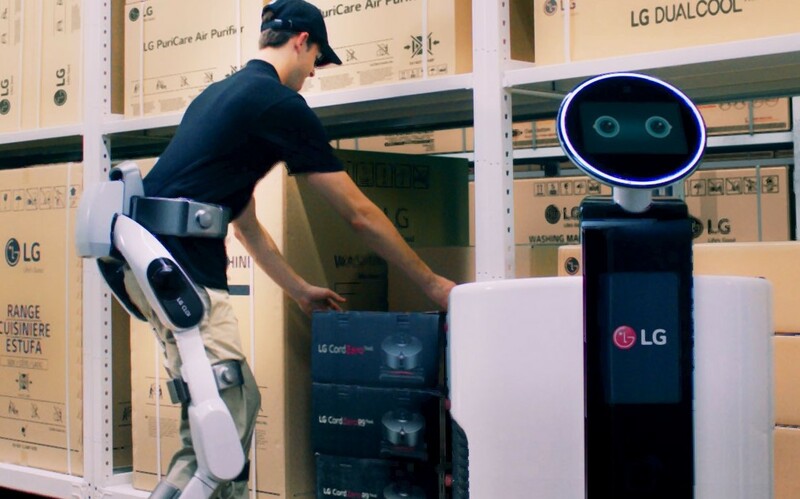 The LG CLOi SuitBot was designed in collaboration with the startup, SG ROBOTICS, who has been studying how wearable robots can improve the quality of life. A comfortable fit and naturally rotating joints allow the CLOi SuitBot to move in a more relaxed and natural way to enhance the lower body while walking, standing or working. Its sandal-type shoes and automatic adjustment feature allow the wearer to get in and out of the suit more easily, differentiating LG CLOi SuitBot from many other exoskeletons. Believe it or not! IFA is a powerful information source and media companion for trade visitors and media that helps to get the most of their day at the exhibition. It begins from August 31 to 5 September 2018 at Berlin, Germany.